An exciting opportunity for young lawyers is coming tomorrow, at the University of Colorado Law School in Boulder. CSUSA (the Copyright Society of the USA), along with the ABA's Section of Intellectual Property Law, will present Careers in Intellectual Property Beyond Patent Law, a panel discussion for law students to learn from local professionals about their future careers. 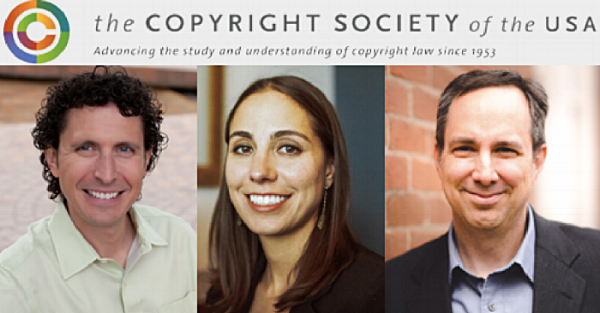 Creative Law Network's own Dave Ratner, alongside peers Shirin Chahal and Dave Rein, will help to fulfill the CSUSA's goal of helping others understand copyright law by pulling on the wide breadth of their professional experiences to educate Colorado's next generation of lawyers. The discussion will take place at the Wolf Law Building, Room 207 from 12:00pm - 1:00pm, and will be FREE for all Law Students.